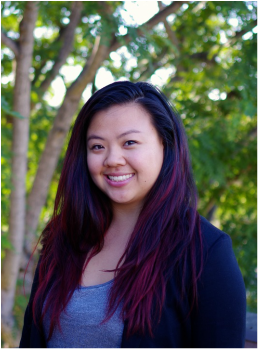 Time at UCI: Crystal has been an active member of the American Academy of Environmental Engineers and Scientists (AAEES) as the External Vice President and served as Vice President of Recruitment for Phi Sigma Rho, the engineering and science sorority. She conducted water quality research in lagoons and in the Coastal Dynamic Lab, where she presented her research at symposiums. In addition to classes, she has worked with the Orange County Sanitation District informing the community about the wastewater treatment process and the benefits of water reuse. 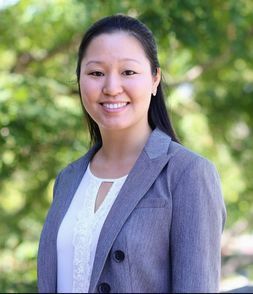 Bio: Crystal is a graduate student pursuing a master's degree in Civil Engineering with an emphasis in Environmental and Water Resources Engineering at the California Polytechnic State University, Pomona. Crystal works as a civil engineer in the land development group at Huitt-Zollars. She is also an active member of the American Society of Civil Engineers OC Younger Members Forum. 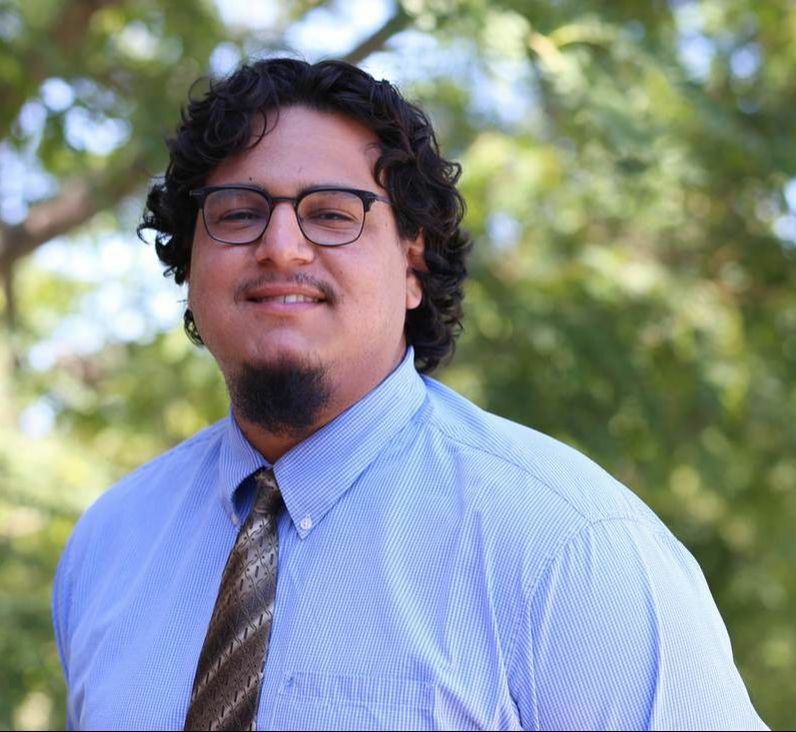 Time at UCI: While attending UC Irvine, Irvin had his name misspelled constantly, whether it was as a marketing commissioner for the sustainability branch of student government, TGIF, or as the president of the school’s chapter of IEEE. While correcting these errors, Irvin helped lead a team to build UCI’s first ever maze solving robot, threw two campus-wide LAN parties and got an article published in the campus newspaper about baby pigs and bacon. He also wrote and researched about entrepreneurs, bedbugs, microgrids and created a tutorial on energy modeling software. Bio: In his free time, Irvin does judo at the Irvine Judo club and dances with the Southern Wind Lion Dance team at UCI. 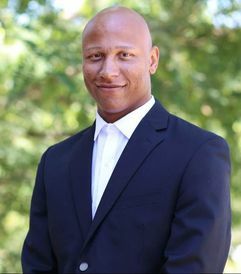 He also assists enterprise users with their software robots as a technical support engineer at Kofax and is a graduate student at Mississippi State University, where he is pursuing a MBA in Project Management, having completed his Master's in Computer Science at the University of Illinois already. During his downtime, he goes to Yelp Elite events, plays Pokemon Go and hosts boba nights for the OC IEEE Young Professionals group. Time at UCI: While at UCI, she has been involve with [email protected] as an active member and board member since freshmen year. She has been involved in Racecar Engineering as a senior project since junior year being a Chassis Team Member and Human Interface Team Lead with over 360 hours of time spent over the two years. Other involvements include Pi Tau Sigma, Material Science & Engineering Club, and did research in material science for 2 years. Bio: Aileen is currently working at an engineering service provider for product design and development specializing in medical device and diagnostic equipment. She helps families make and save money with the financial firm she is with while educating those in low, middle and high income how to better utilize their money into tax-free retirement. On the side, she is an aspiring photographer with a drive to capture moments in life with her camera. 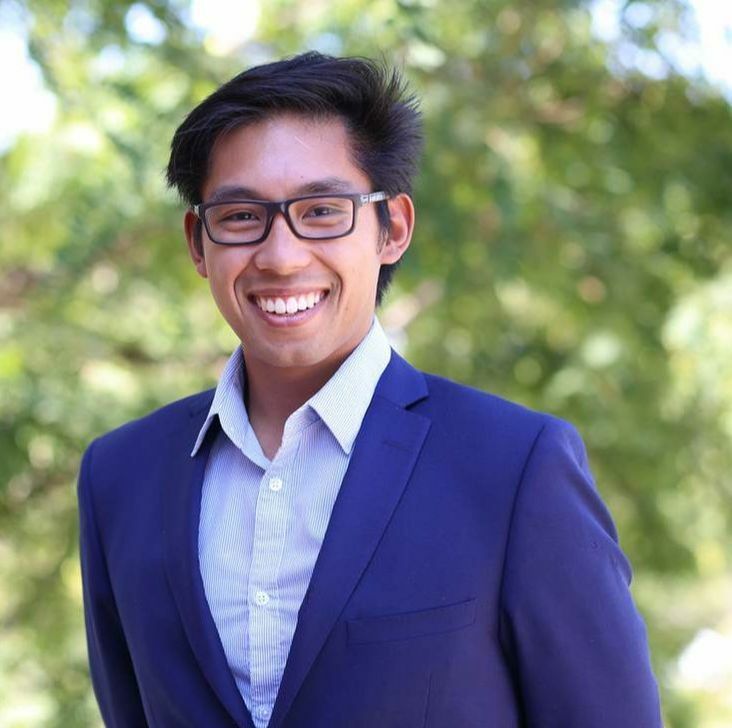 Time at UCI: During his time at UCI, Clever served as Public Relations Co-Chair with Engineering Student Council (ESC), helped found Theta Tau at UCI as Internal Vice President, and served as a member of the student chapter of American Society of Civil Engineers (ASCE). Bio: Clever is currently a Civil Engineering contractor at Orange County Public Works (OCPW) with the Traffic and Design group. He has worked on a variety of projects including intelligent Transportation Systems, Traffic Signal Synchronization, Traffic Control, Stage Construction, Signing and Striping, Bike Trails, Street Improvement, Street Lighting, Signal Design, and managing Neighborhood Traffic. 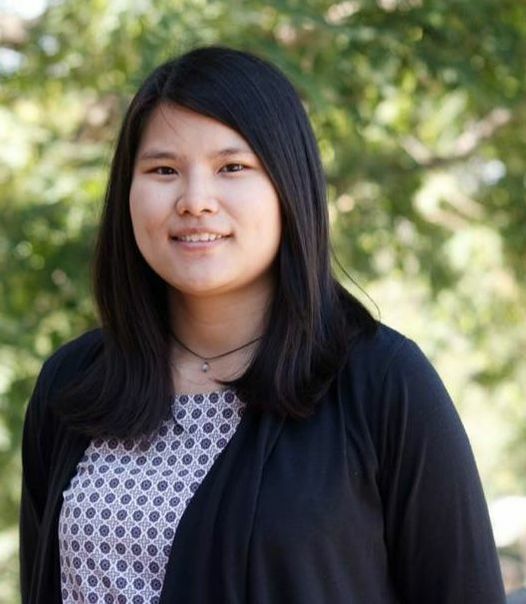 Time at UCI: While at UCI, Joan was involved with the student chapter of American Society of Civil Engineers (ASCE) and was on the executive board for Engineers without Borders – UC Irvine (EWB-UCI) for 3 years. She was an active sister of the engineering and science sorority for women Phi Sigma Rho, and served on their executive board during her senior year. Outside of the engineering community, she was involved with the Associated Students of UCI (ASUCI), where she served as Visions Leadership Commissioner and held a leadership position with the Antleader Mentorship Program (AMP). Bio: Joan is currently working at the Los Angeles Department of Transportation (LADOT). 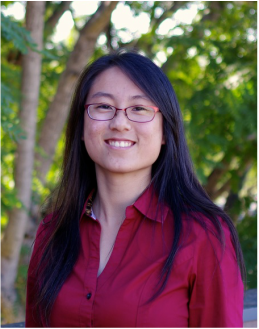 Joan is a Transportation Engineering Associate with the Traffic Signal Design group. She has worked on a variety of City wide projects including Spring ^ Main Forward, Great Streets & Complete Streets designs, scramble crosswalks, and Highway Safety Improvement Program (HSIP) projects. 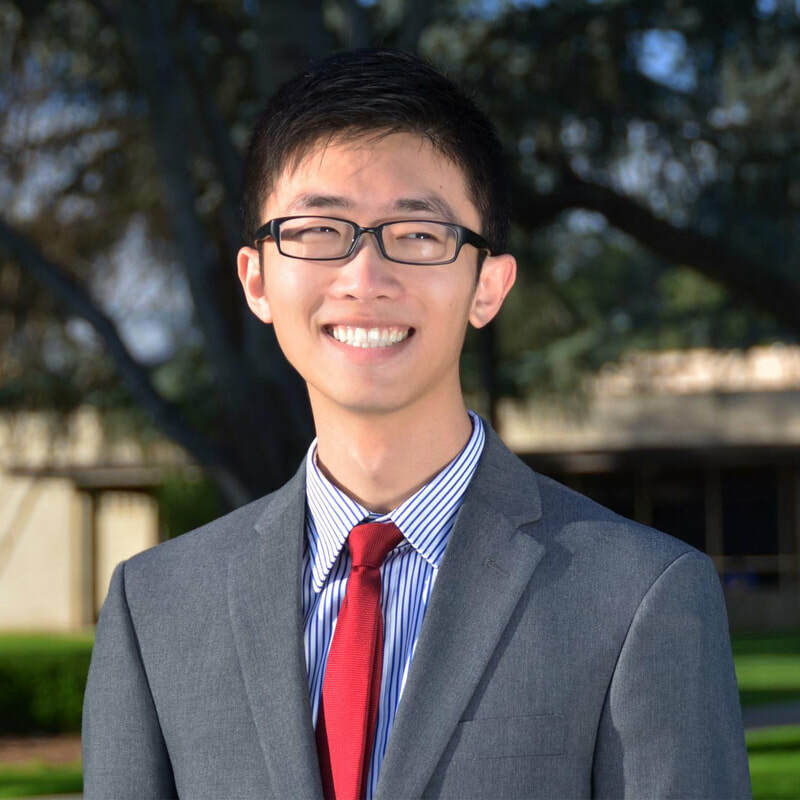 Time at UCI: Kevin was involved with the student chapter of the American Society of Civil Engineers (ASCE), Chi Epsilon Honor Society and Associated Students of UCI (ASUCI). Bio: At the Los Angeles County Department of Public Works (LACDPW), Kevin works as a Principal Civil Engineering Assistant. He has worked with GIS and right of way engineering, worked a water plan check counter in Malibu, designed water system improvements, performed analysis and planning for water quality projects, and currently works on traffic operations and electrical projects ranging from highway safety improvements to finding solutions to damaged traffic signal poles. 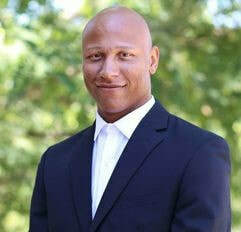 He is also currently an active member of the American Society of Civil Engineers' LA Younger Members Forum. 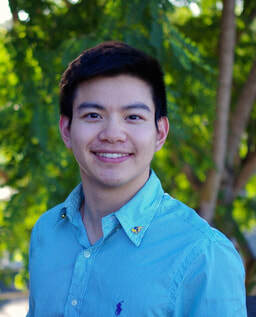 Time at UCI: Jonathan joined ESC during his junior year in college. During his senior year at UCI, he became the Marshal in Chi Epsilon. Bio: Jonathan currently works for a boiler company in Commerce, CA. In addition, he started a catering service company for his mother in January 2016. He hopes to find a way to share his mother's homemade meals with as many people as he can. Time at UCI: In addition to her studies, she completed the Disney College Program internship and served as Vice President of Finance for Phi Sigma Rho, the National Science and Engineering Sorority. During her last year, she studied abroad at Cambridge University in the United Kingdom. Bio: Emily has completed a Certificate in Accounting at UCLA Extension and she is currently studying for the CPA licensing exams. She regularly attends events for UCI Alumni Association and serves as the UCI Phi Sigma Rho Alumni Association Vice President of Finance. 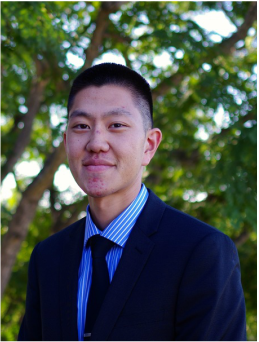 Time at UCI: As an undergraduate at UCI, Jason served as the President and Treasurer of the Institute of Electrical and Electronics Engineers (IEEE) – UC Irvine Chapter. 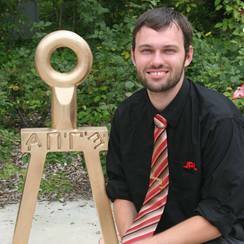 He also was involved in the Engineering Student Council (ESC) and a member of the Alpha Phi Omega Service Fraternity. 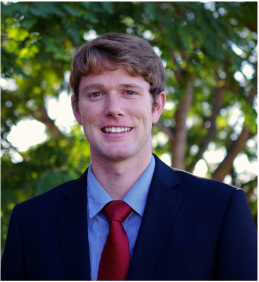 Bio: Jason is a Member of the Technical Staff at the Aerospace Corporation and a Ph.D student in the Autonomous Networks Research Group (ANRG) at the University of Southern California working on research in field of wireless networks and embedded systems. 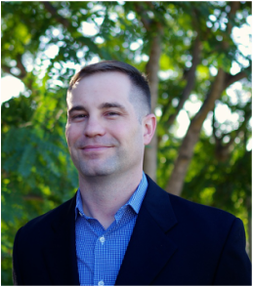 Bio: Brian is now an Engineer at Fisker automotive where he works with passive and active safety. Now living in Westminster he enjoys photography and motorcycles. 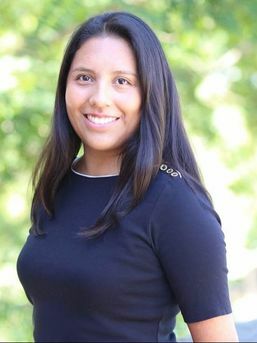 Time at UCI: After transferring from a community college, Ariel became involved in the Engineering Student Council (ESC) and was a member of the Faculty Engagement Committee. Ariel enjoyed expanding her social and academic network. She joined the STEM sorority, Phi Sigma Rho and represented in ESC's President as the External Communications Chair. She also learned and conducted research on electrospray technology in the Electric Propulsion Lab. In her junior and senior year, Ariel was involved in the Rocket Engine Development design project and the UAV Forge deign project. Her true passion grew in UAV Forge. As a Mechanical Design member, where she developed an airframe and electronics housing for a VTOL tilt rotor aircraft. She was also the Documentation Officer and wrote project progress blogs on ucimaeprojects.com. With these two experiences, she became the Project Manager and lead UAV Forge towards the AUVSI SUAS Competition. As first time competitors, Ariel and her team placed within the top 40 teams. Bio: On her free time, Ariel enjoys swing dancing (thanks to the UCI Swing Club), Japanese pop culture, and cosplaying at anime conventions.. Fun facts about Ariel: she's played the violin for 10 years, she has a twin, and she loves to cook! Her favorite foods are curry, ceviche, and Korean cuisine. Time at UCI: Drew attended UCI to earn his Master’s Degree in Mechanical Engineering in the Computational Linkage Design Lab under Dr. J. Michael McCarthy. The transition from Physics methodology was bumpy, and Drew still does not trust Matlab. Drew also worked as a TA for undergraduate courses, and provided assistance in the machine shop and undergraduate laboratory spaces in Engineering Gateway. Bio: Drew is the proud husband of another UCI graduate, Michelle Maasz (Dance and Art History ’12). He works as an Assistant Project Manager for The Vertex Companies, a global Construction and Environmental Consulting firm. He and his wife recently moved back from a 19-month assignment in Germany, and they enjoy attending UCI Alumni events as often as their schedule allows! Time at UCI: During the first two years, Dean was involved in the UCI Anteater Band where he played baritone horn and drum set. In this time he also joined Triangle Fraternity where he held the role of Marketing Director. In his third year while studying abroad at the University of Manchester, he served as the Marketing Officer for the Manchester Students for the Exploration and Development of Space (MANSEDS). 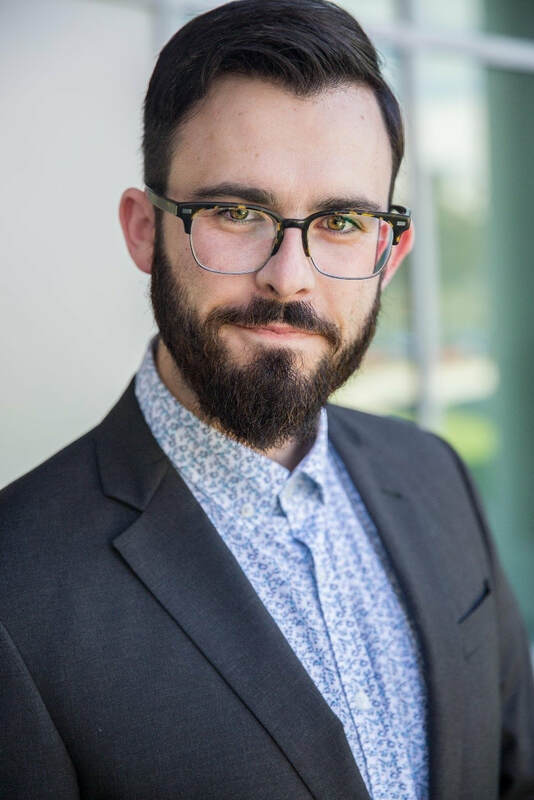 Upon returning to UCI for his final year, Dean increasingly became more involved with Triangle, taking on the reigns as the Songfest Musical Director for a joint production of Hairspray with two other Greek organizations Pi Beta Phi and Alpha Epsilon Pi. With the help of Triangle, he also started a yearly high school hovercraft camp outreach program, where he and the team traveled to his alma mater Citrus Hill High School in Perris, CA to give underrepresented and disadvantaged high school students hands-on engineering experience with building a hovercraft from scratch. Bio: Dean's professional experience spans a wide range of industries, including retail, education, entertainment, finance, science, and engineering. Upon graduating from UCI, he went on to earn a Masters Degree in Electronic Engineering and Business Management at King's College London. Dean currently works as a software engineer at Laser Associated Sciences. Time at UCI: During his first year on campus, he briefly played on the UCI rugby club team. While at UCI he was involved in the MAT Sci Club along with friends and classmates. In his senior year Jonathan was a team member for Free Wheelchair Mission during senior design. 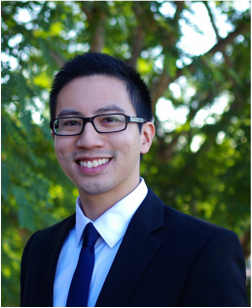 Bio: Since graduating from UCI, Jonathan has used his engineering background working at SmartHome in testing home automation hardware and software. He has also worked at OEM Press Systems as a Solidworks Enterprise Product Data Management Administrator and drafter. He currently works as an engineer for an industrial steam equipment manufacturer, Miura America Co., LTD.
Bio: Ronald recently graduated with his Master's degree and is seeking employment. He is an avid cyclist, Dodgers fan, and traveler. Time at UCI: Ricardo has been an active member of the American Institute of Chemical Engineers (AIChE) as the Vice President Internal. He also served as a Chemical Engineering Car Project Manager, a research and design project related to AIChE. He was a member of the National Society of Black Engineers (NSBE). In addition to classes, he has interned with Shell Oil Company in Deer Park, TX as a refinery engineer. Bio: Ricardo works as a wastewater operator at Irvine Ranch Water District. 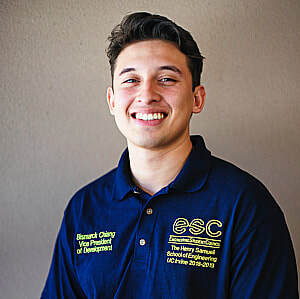 Time at UCI: Bismarck has been of service to Engineering Student Council in 2 key roles of External Vice President and Development Vice President. He has been apart of 2 senior design groups (Solar Airplane, Fuel Cell Data Center) and 1 UROP research projects. He has been a member of TOMO NO KAI, a Japanese & Japanese-American cultural organization at UCI.